Alaves vs Levante predictions for this Monday’s game in Spain’s La Liga as the hosts aim to bounce back from 3 straight defeats. Read on for our free betting tips and predictions. The Monday night game this week in La Liga comes from the Basque Country where two sides who started the season well but haven’t been quite as convincing of late meet. Alaves remain in the race for European football but may struggle to make it now, having seen their squad weaken over the last month, largely due to the sale of Ibai Gomez. 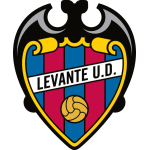 Levante have failed to score in 4 of their last 5 matches with forwards Roger Marti and Jose Luis Morales not getting much service. They won’t get much change out of a solid Alaves defence and backing Under 2.5 Goals could be worth considering here in what could be a cagey kind of game. Backing the Draw might be the best move in the Full-Time Result market and it’s a result that both coaches may just be content with. 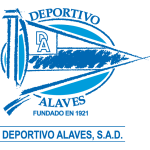 Even Alaves boss Abelardo has insisted that survival remains their primary goal and both sides will be thinking about inching towards a position of guaranteed safety, rather than targeting wins that could catapult them towards Europe.